One way to make sure your messaging stands out is to look at where the competition is spending their media dollars and look for opportunities where they aren’t spending as much. To zig where they zag. Consumers have gotten used to ignoring traditional advertising (DVR, ad blockers, etc.) so showing up somewhere unexpected can really be impactful. Non-traditional OOH gives you the ability to show ads in places where they don’t have traditional OOH units, giving you exclusive access to certain audiences. Giving consumers something of value within non-traditional advertising can not only drive awareness but establish positive brand association as well. 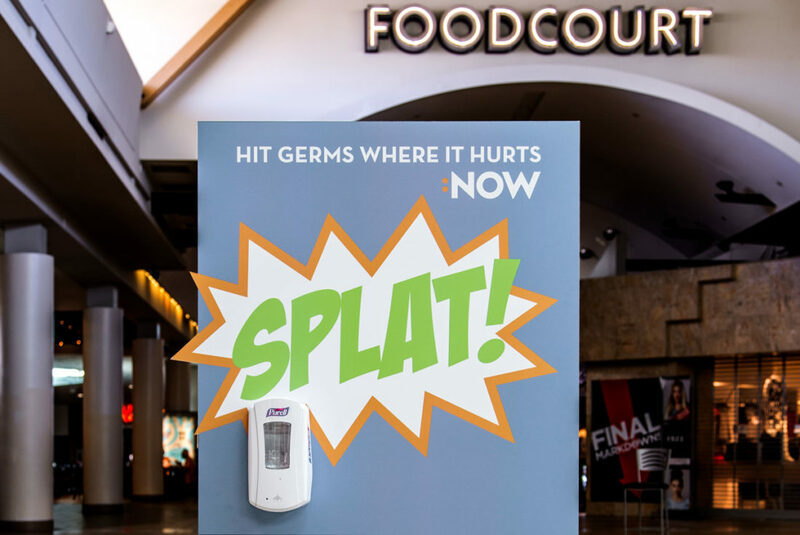 For our healthcare client The Polyclinic, we purchased hand sanitizing stations at a nearby mall’s indoor play area to remind parents that the Polyclinic:NOW walk-in clinic was just a block away. Another idea for the right client is a branded charging phone station targeting travelers at the airport. This form of value-first advertising can engage an audience while providing a service instead of a straight sell in a way that is mutually beneficial. That, in its own way, is non-traditional.